AWA currently bills its 23,000 customers monthly using 3 separate billing runs based upon where a customer lives. All meters are read monthly unless circumstances prevent this from happening. Although every attempt will be made to avoid this, if we are unable to read a meter for any given month, an account is estimated based upon previous usage. Most customers receive a combined water and sewer bill although customers outside the city of Altoona may receive sewer service from another source. 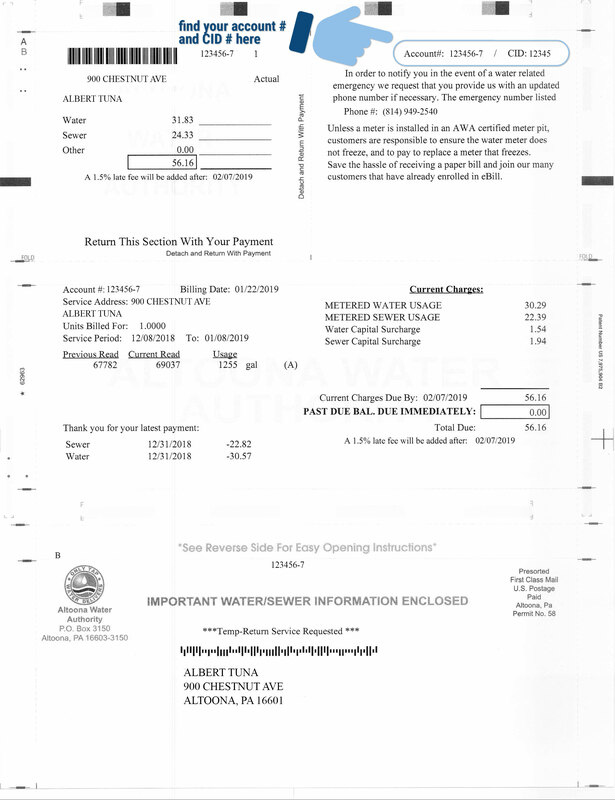 It should be noted that sewer billing is based upon 100% of the water usage. All bills must be paid within 16 days of the date sent to avoid late charges. In addition to having your monthly payment withdrawn automatically from your account you can also access your account via our customer portal, or see the attached list of alternate options and locations to pay your bill. Billing questions should be directed to our customer service department at 814 949-2540. 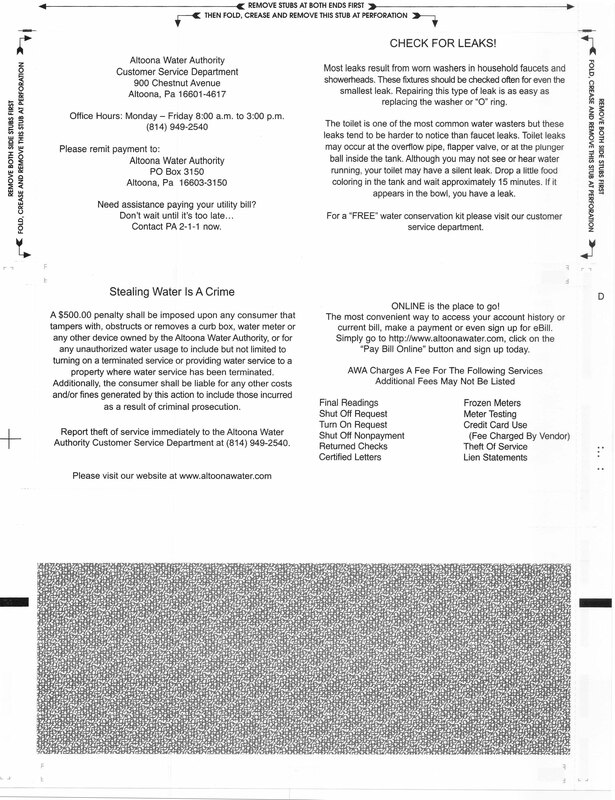 Please review a sample of the Altoona Water Authority full page water bill.